Last year’s Newsrewired taught us a lot about the future of content. So, hungry for more knowledge, we went back this year to hear from more inspiring journalists who work at some of the country's top publications. Here are seven key things we learned during the digital journalism conference at Reuters. By 2020, Generation Z will make up about 2.56 billion of the population globally. This generation (of 13 to 24 year olds) has never known life without a smartphone. As a result, publications need to adapt their content to ensure they appeal to this younger, digitally savvy audience. Shoutout Network CEO and co-founder Imriel Morgan said that the young engage with stories they can see themselves in and associate with. So, they have created a podcast that represents the underrepresented. Shoutout targets a niche, such as with its 'queer men of colour' podcast. This attracts very specific people who, as a result, are incredibly loyal and become superfans. Topics from careers and future to sexuality and social issues, are covered. The company intends to move towards scripted dramas as they have discovered this growing in popularity. Co-editors of Children’s News, BBC Africa, Harriet Oliver and Julie Taylor agreed, saying this generation need to see their lives and experiences reflected. Youngsters want to know the complex news, to learn about the world around them and difficult topics, but they need it explained clearly and broken down in a way that is easily digestible. The pair stressed the importance of not using jargon or assuming knowledge and ensuring you show that there are solutions to these issues. Snapchat senior content editor at The Telegraph, McKenna Grant, said this platform is a huge part of their team’s social strategy. 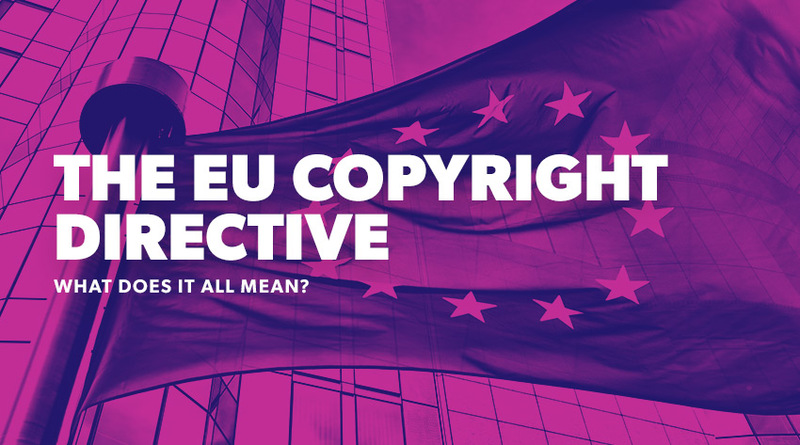 The audience, however, is far different from the typical Telegraph reader, which is why they have to carefully consider their content to ensure it appeals to teens and young adults. 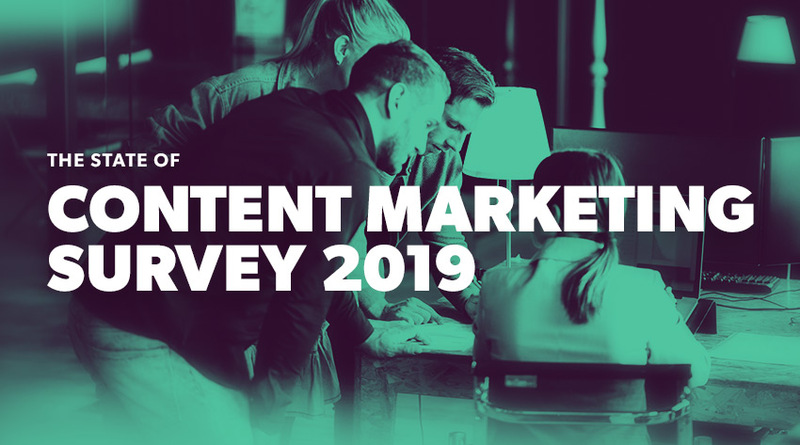 Content has ranged from women in business for International Women's Day and personal finances for young people to the Royal Wedding - which was one of their biggest success stories so far. 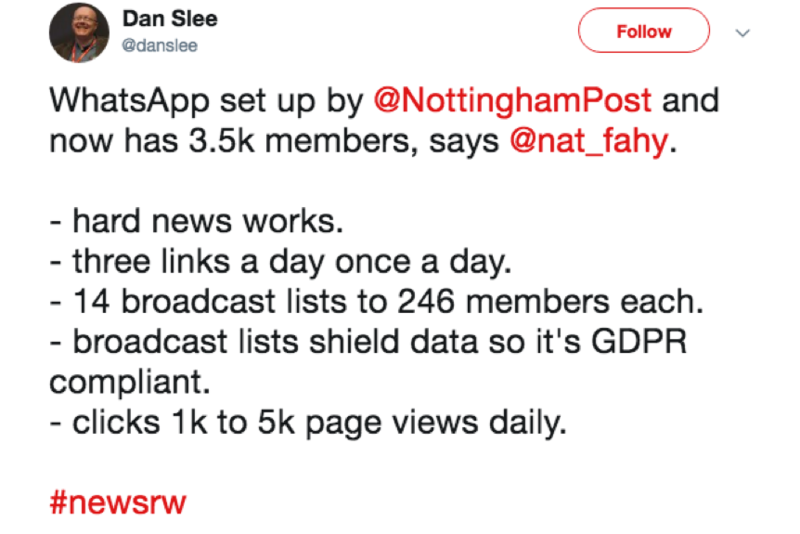 During Harry and Meghan's special day they produced a 20-snap story that covered analysis, comment, image and video - this saw a 50% increase in unique users. The team keeps an eye on how much engagement different topics receive and then use that data to plan content going forward. Interestingly, the snaps are often screenshot and shared on other platforms, particularly Twitter. Vogue is also using Snapchat to reach people who aren't reading the magazine and Pink News said this platform has been a 'game changer' for them. They launched in July and now have an audience of 25 million. 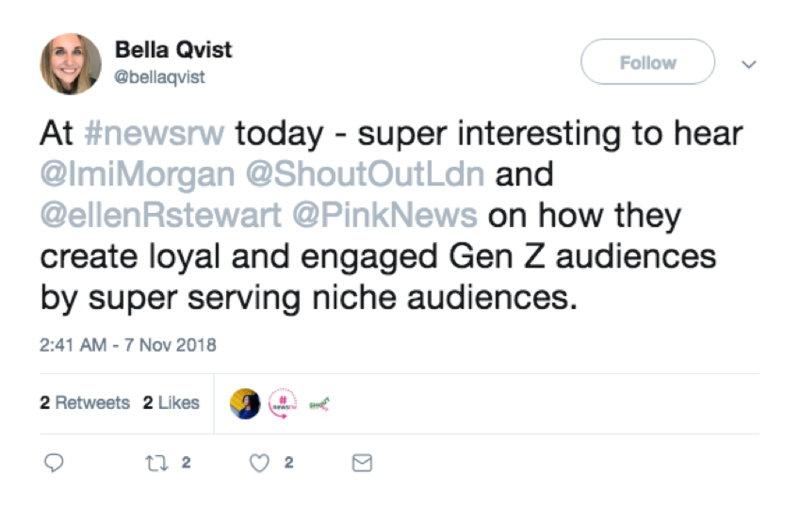 It has encouraged Pink News to completely reconsider the way it thinks about its readers and communicate with its audience, which is why the team has used the lessons learned and implemented them across all platforms. 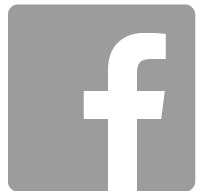 Publications were hit hard by the recent change in the Facebook algorithm. As a result they are looking to new platforms. 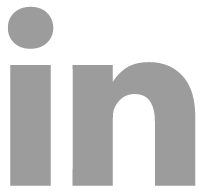 Time Out Digital was among those using the beta version of TripAdvisor's new social feed before it launched on November 13th. It looks similar to the likes of Twitter and Facebook but the benefit is that travel content will appear on both the feed and any indexed pages that are mentioned in the post. The aim is to create inspirational, evergreen blogs and guides such as '24 things to do in London' – and then tag in all 24 of those venues. Nottinghamshire Live, on the other hand, has turned to WhatsApp. Digital editor, Natalie Fahy, said they chose this to take it back to basics, delivering news to readers on a platform without an algorithm, that can't be hijacked by brands and is where its audience is. Plus, readers can reply, start a conversation and potentially provide tip-offs. Nottinghamshire Live sends one message to 3,500 subscribers around dinner time, with the three top news stories. It arrives straight to their home screen, which guarantees it is seen and is the ideal way to nurture their loyal readers. It has found that its audience wants hard news and that it is best to keep it short and concise so it fits on the screen. The results: 1,000 to 5,000 page views and 30% click-through rate. 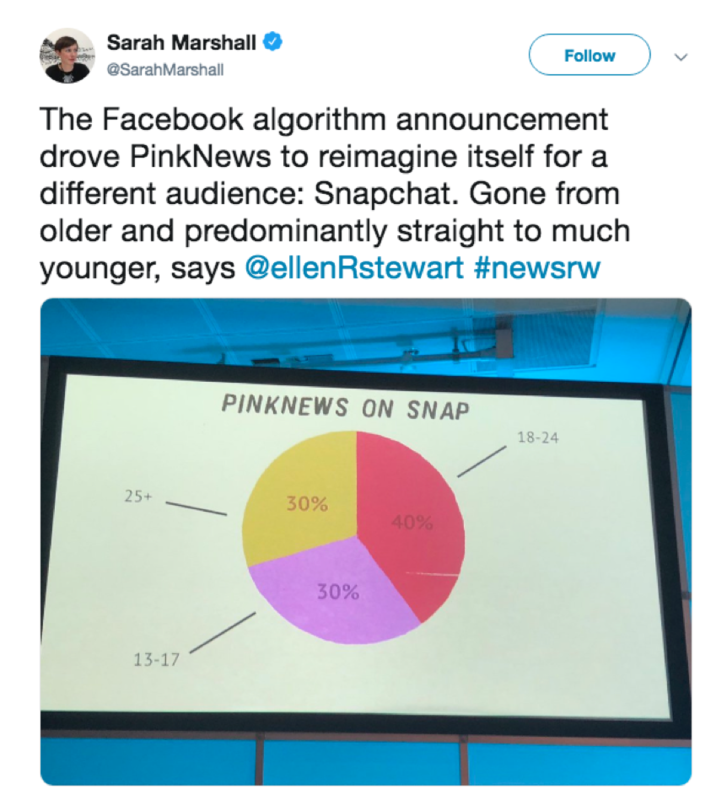 Ellen Stewart, head of content at Pink News said the change in the Facebook algorithm meant they had to go back to their core audience. Although the team saw a significant drop off in traffic they found that the people they lost weren't necessarily their target audience. In order to do this, Pink News turned to Instagram, Facebook and Snapchat and hired a new team to work on them. 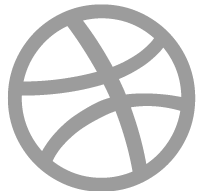 As with the other publications, they are repackaging long-form content into animation for social and it has worked. Its audience is now 40% 18 to 24 year olds and 30% are 13 to 17 year olds. Rethinking the way they work, and doing so for a new audience, has allowed Pink News to reach people that had never even heard of it before. 5. AI isn't going to take our jobs... it is going to make them easier! 'Robots are going to take our jobs' is a phrase that has been flying around a lot lately. But, Reg Chua from Reuters said we shouldn't be thinking about it in this way, instead we should consider the 'cybernetic newsroom' that combines the strength of humans and robots. Humans = direction, context, non-data world and quotes. Ultimately, robots can mine data and pull it into a simple sentence, humans are required to use this information to create a piece of work that makes sense. 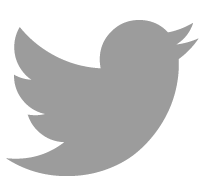 Meanwhile, a news tracer tool will be able to look at Twitter feeds and cluster together tweets about the same event, ranking newsworthiness and splitting into opinion and fact. This helps journalists to jump on breaking news and sort the fact from fiction. Again, this involves working at a speed humans can't but relying on them for verification. In terms, of images, Getty has created Panels, so you can find visuals beyond the obvious by pasting in your whole story and allowing it to pull keywords itself. We know that we need to keep our audience in mind when creating content because ultimately we are doing it for them. But, what about leveraging communities by thinking about the individual and how they can feel a sense of belonging? Hannah Ray, Vogue's head of social strategy and storytelling said it is important to use Instagram, where she previously worked, to create these online communities. Vogue International puts the power in youngsters’ hands and across six posts in one week, community members from various countries can share their story. 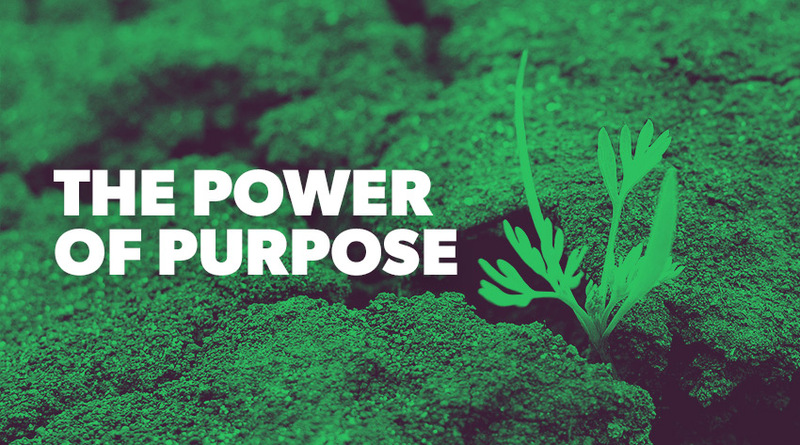 With this approach, you must first identify your community, then nurture it to help it grow while providing support. 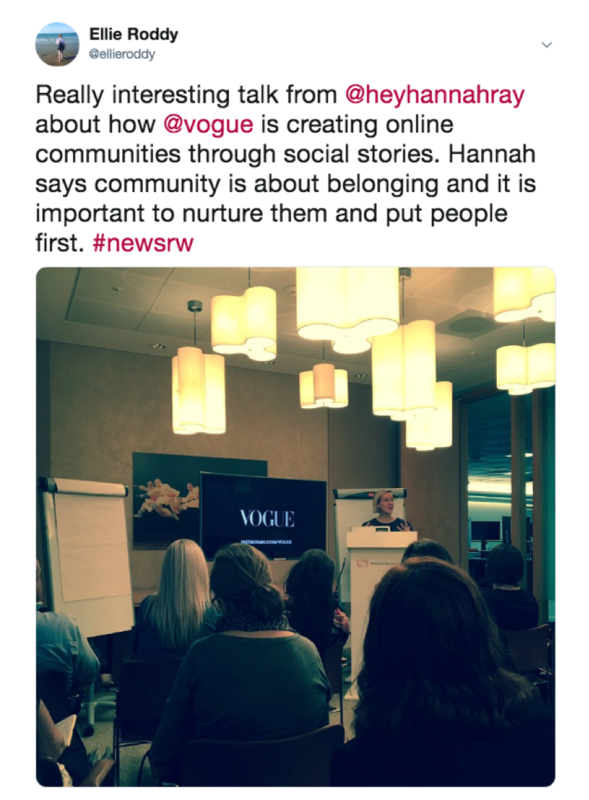 Vogue put community first and this meant it grew on its own - meet ups started to be arranged and the brand helped out, but didn't take over. During an audio storytelling workshop, we learned that Google intends to increase indexing of audio, which will only help your content to be found. According to RAJAR Midas Audio Survey, 6.9 million adults or 13% of the adult population are already using a podcast in an average week. This is up nearly one million from the last quarter. On top of this, smart speakers - the fastest growing consumer technology in recent times - will disrupt current listening behaviour. Want to know more about new trends changes in the industry? 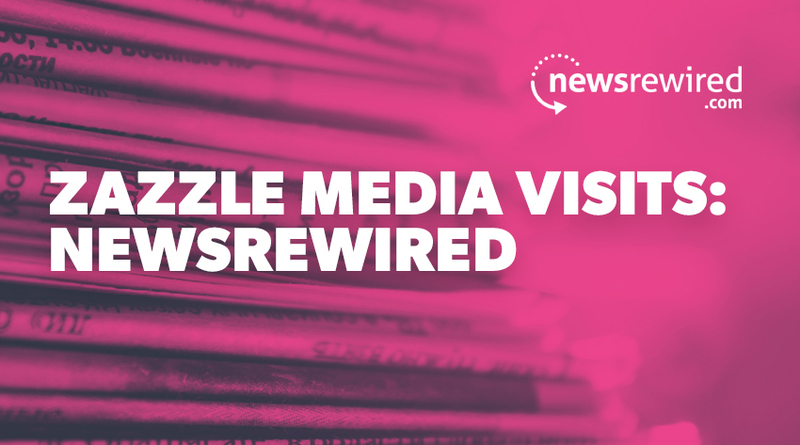 Find out what we learned at Newsrewired 2017 here.